Surfmats have been around for some time, although over the years there have been some drastic developments. We're building a library of media articles here and are always looking for additional content. Please contact us if you have anything for inclusion. We happy to link to your sites and will always gain permission from the holder of the copyright. If anything reproduced here breaches copyright then please let us know and we will remove it at the earliest opportunity. Published in Surfers Journal in 2000, this is a key text in the history of mat surfing from the man behind Fourth Gear Flyer, Paul Gross. A fascinating read by a true legend CLICK HERE to view PDF, Courtesy of Paul Gross. Published in Surfers Journal a few words from Dale Solomonson on Surfmats. Featuring John Mellor’s Neumatic Advanced mat. CLICK HERE to view a scanned JPEG of the original, courtesy of John Mellor. Published in Backdoor Surfer in March, 1977, this article gives some fascinating historical insight into mat surfing around 40 years ago. It’s particularly interesting to read some of the tips which today are known to be juxtaposed to what we know today about inflation levels. CLICK HERE to view a JPEG of the original, courtesy of Henry Marfleet. 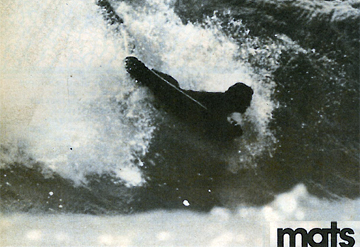 Dug out from the pages of Best of Tracks, Vol 1, by UK based AUssie mat surfer Henry Marfleet, this article from the early 1970s is a really interesting look into the early days of the development of the modern surfmat. This piece really catches what makes us all ride mats. What’s really interesting is that we don’t know who the author is and neither do Tracks! We have our people on it but if you know then please email us. You would think the shortlist would be... well.. short, but none of the expected names seem to be on it! CLICK HERE to view a PDF of the original, courtesy of Henry Marfleet. Reproduced with the permission of Tracks Magazine. Not a mat piece but an intriguing examination of the board and fin design of the father of modern mat surfing, George Greenough from the horses mouth with an introduction by Paul Gross. This piece was published in The Australian Surfer's Journal Volume 2 No 2 Autumn 1999. CLICK HERE to view a PDF of the original courtesy of Robin Thomson and reproduced courtesy of Paul Gross. Online magazine and offline boundary pushers, Approaching Lines interview with G-Mats Custom Surfmats creator, Graeme Webster. The article gives a brief overview of the transition from the rental airmat to the modern nylon surfmat. The piece discusses the years where mat surfing disappeared from the mainstream consciousness where the development really occurred, into the modern boom. An enthralling read from the April-May 1974 edition of Surfer. Mat builder Woody Woodsworth about the development of his Rubber Duck surfmats. The piece explores the challenges of making mats durable mats hold in critical waves. Woody describes his move towards finned mats and the balancing act required to prevent them from becoming inflatable boards. CLICK HERE to download a PDF of the original, courtesy of Rod Rodgers. The perspective from the pioneer or modern mat riding himself.We're not sure about the original source for this piece but still offers some great advice for people riding old style mats such as Redbacks. CLICK HERE to view a PDF of cuttings of the original courtesy of Robin Thomson. 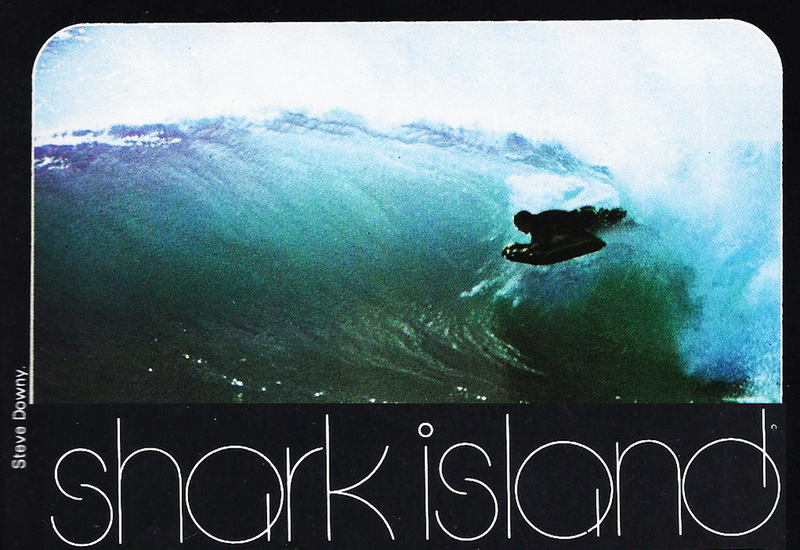 The story of Shark Island mat shredder, Steve Downy as told by Bruce Sladden in the April 1973 issue of Surfing World Magazine. CLICK HERE to view a PDF of the article, kindly sent to us by Adam Williams. The official Souvenir Programme from the 1956 World Surfing Championships held at Makaha, Oahu, Hawaii. This wonderful bit of history features an article by H.H. Meeker entitled "What's a Mater?" That might sound a bit rude but we think he meant "matter" and it suggests that Mat Surfing is the "Island's New Sport". Great reading courtesy of Surf Historian John Clark. We all know them. We are all inspired by them with their boundless energy both in and out of the water. 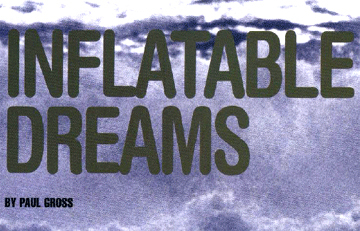 Terry Wild wrote this piece for the Slideaholics website in 2014. This article takes us in to the the World of SCUMM with insights in to the timeline of their progression from mat-dabblers to full-blown icons of the modern age of matsurfing. CLICK HERE to view a PDF of the piece kindly sent to us by Slideaholics.